MBR-2 - the marine short-range scout - was built in 1932 in Central Designer Office of Marine Shipbuilding by designer collective led by one G M Benev. The prototype MBR-2 with the M-17 engine has made the first flight of May 3 1932. 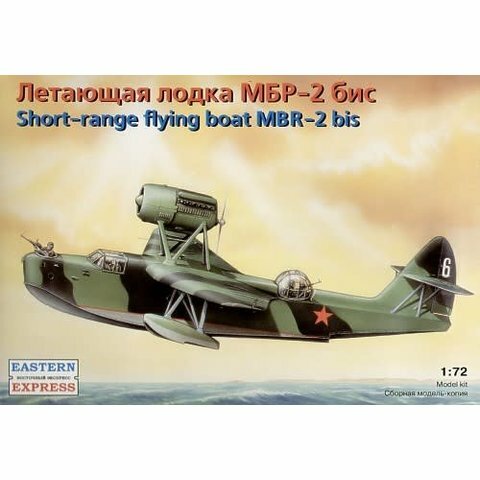 In 1935 producing of MBR-2bis with M-34 engines, improved aerodynamics and arms began For maintenance of a flying boat from terraneous aerodromes the wheel landing gear was developed idle time on a design. The battle application MBR-2 was held during combats with a Japanese troops for lake Khasan in 1937. Was applied in Winter war between USSR and Finland in 1939-40. 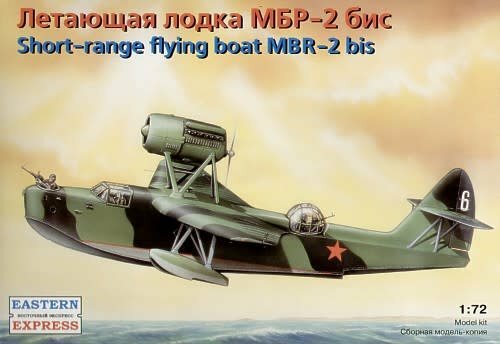 To the beginning of Great Domestic war MBR-2 was the basic seaplane of aircraft RKKF. During all war was applied as the short-range scout, patrol, antisubmarine, saving, transport aeroplane, and as a daytime and night bomber.